For a few years now I have noticed student loan settlement companies popping up left and right promising consumers and student loan holders outrageous and usually unrealistic results. Here is some insight thanks to Huffingtonposts financial education blog. Student loan borrowers struggling with confusing information from the U.S. Department of Education will get help from a new website and hotline being launched by activists and labor unions. Natalia Abrams, who works with activist group Student Debt Crisis, said the hotline and website are designed to assist student borrowers who complain to her regularly that they’re frustrated when they search the Education Department’s website for helpful information. Student Debt Crisis is working with the AFL-CIO, AFSCME and the American Federation of Government Employees in setting up the website — TheBorrowers.org — and the temporary hotline. The hotline will be staffed May 19, 20 and 21 from the AFL-CIO’s Washington headquarters. 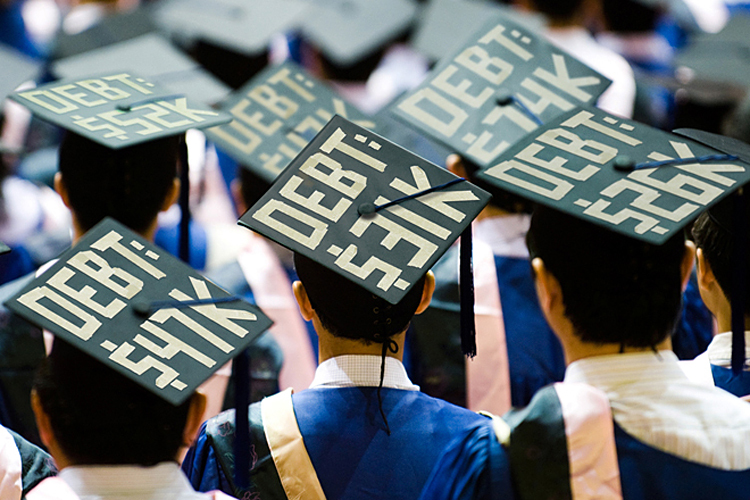 Americans collectively owe more than $1.2 trillion in student debt, a burden that experts say is creating a drag on the overall economy. “In addition, the Department has also created tools such as the College Scorecard and Financial Aid Shopping Sheet so that students and families can understand their options and choose the college that provides them with the best value,” Horn said. The Education Department has faced pressure in recent years to promote repayment programs for federal student loan borrowers. The department emailed millions of borrowers in late 2013 in an effort to boost enrollment of income-based repayment options. The Obama administration expanded eligibility for the program last year. Current income-based repayment options allow eligible borrowers to cap their monthly payments at 10 percent to 15 percent of their pay. Some public service employees can have their debt forgiven after a period of 10 years, though the Consumer Financial Protection Bureau has said millions fail to enroll in these programs because they don’t know about them. Abrams hopes to emphasize the options available to help manage repayment of federal student loans. The effort also aims to help borrowers avoid debt-relief companies flagged by consumer advocates for charging for free government programs. The Consumer Finance Protection Bureau signaled this week it may soon enact stricter ruless for student loan servicers. “We’re not attorneys, we’re not credit counselors, we can just let them know about the programs available,” Abrams said. Posted on May 18, 2015 by benborazzi	Bookmark the permalink. ← Attention MIDDLE CLASS!!! Want to know where in the country has the most affordable housing for the working class?